Although dad jokes and beatboxing robots are groundbreaking in their own right, tools like the Amazon Echo are capable of so much more than just reading us the weather or telling us what new movies are in theaters. Artificial Intelligence has the potential to touch lives in ways that we have never thought to imagine in the past. According the the Anxiety and Depression Association of America, there are around 15 million people struggling with anxiety, and 16 million dealing with depression in the U.S. alone. 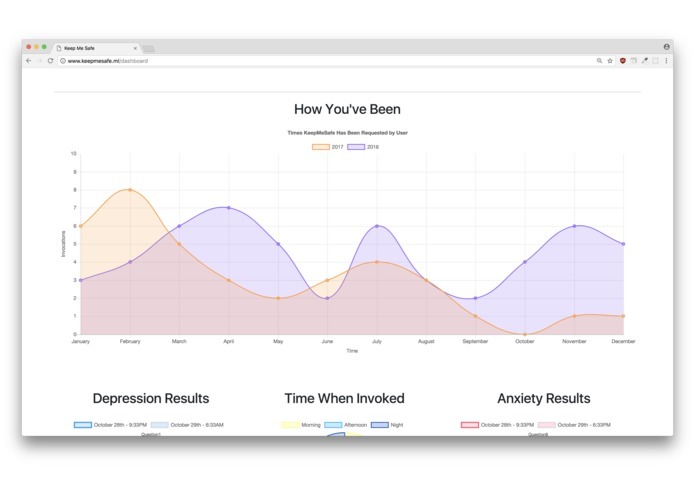 The goal of our product is to provide a monitoring and alert system, where individuals who know that they are prone to having moments of intense depression or anxiety can put out an alert to their trusted contacts, just in case anything bad were to happen, as well as find the company of someone (Alexa) who is there to unconditionally listen to what they have to say. 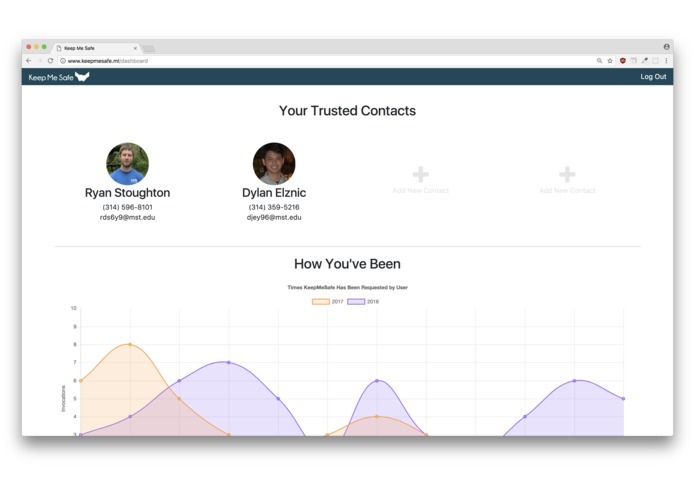 In addition, Keep Me Safe provides tracking and data visualization of the user's interaction with the service. 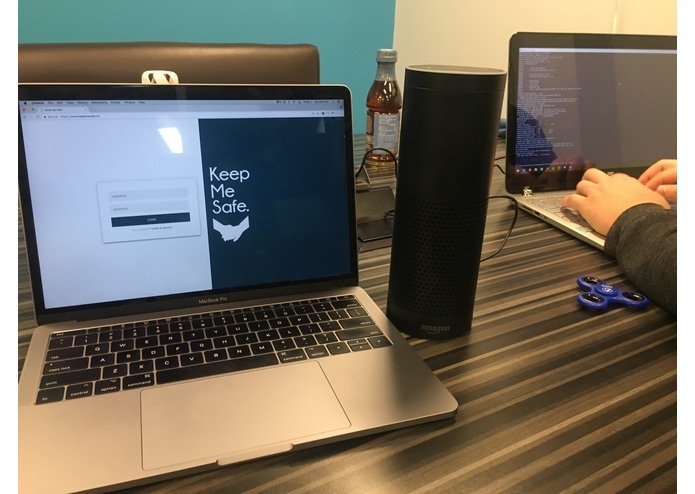 The user, understanding that they are going into an emotionally unstable state, starts the process through Alexa by saying, "Alexa keep me safe." Alexa, will then let the user know that she is with them, and that they are not alone. Alexa then goes through the Hospital Anxiety and Depression Scale (HADS)* questionnaire with the user. If the user fails to respond to any of the questions within the allotted time, a critical emergency SMS will be sent to all of the user's trusted contacts. After the questionnaire has been complete, Alexa let's that user know that they are still here for them, whether they want to listen to music, talk, or even learn something new. Note: There is an emergency response system enabled throughout the process. If the user says anything of immediate urgency, such as "I need help right now", emergency services will be contacted right away, and the user's trusted contacts will receive a critical alert. The HADS questionnaire results as well as the user's trusted connections are hosted on our web application, (https://keepmesafe.ml). 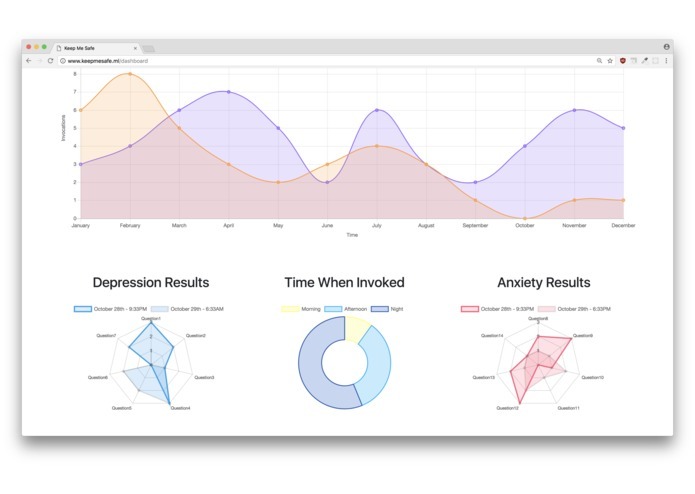 This web app provides data visualizations in relation to how the user has interacted with KeepMeSafe. This includes frequency of use, HADS scores, and other factors that can help users find patterns or other helpful information in regards to their health. *The Hospital Anxiety and Depression Scale is a clinical diagnostic tool used by doctors to determine the levels of anxiety and depression in a patient. It is effective as a self-assessment tool, separating physical symptoms that may skew potential diagnoses. The HADS consists of 14 questions, half of which pertaining to anxiety and the other half dealing with depression. We built this product around Amazon's Echo, creating a custom skill for the platform. Instead of using the native AWS services, however, we decided that Heroku was more beneficial to our Python Flask application. We store the HADS data within PostgreSQL, and create the data visualization using Chart.js. Finally, our SMS alerts are sent out using the Nexmo API. We ran into many challenges while creating this product, many of which surrounded Amazon's Alexa technology. 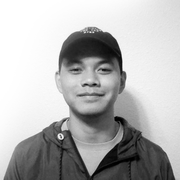 Neither of us have ever used an Echo before, so there was a lot of time spend familiarizing ourselves with both the developer tools and the product itself. Overall, we were able to problem solve most of our blockers, and are very proud of what we have produced. What we are really proud of is being able to create a product that has the potential to benefit those who need it. Learning new skills in Amazon's technology and data visualization is an amazing experience, but being able to apply those skills to somewhere that can make a difference is surprisingly even more rewarding. We have learned a lot of new technology at ArchHacks. The biggest milestone for us is being comfortable developing within Amazon's Alexa technology. Another big lesson learned was to focus on the main idea and see it through, as opposed to blindly trying to implement every new idea that comes our way, no matter how enticing it may seem. 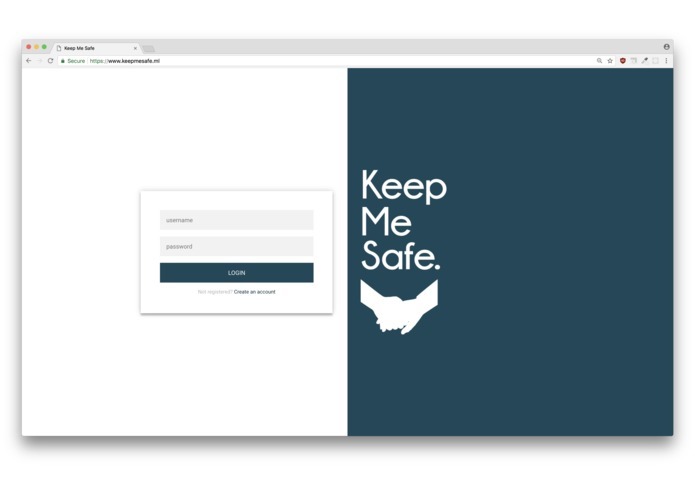 We would really like to provide a mobile platform for Keep Me Safe, on both Android and iOS. This would provide an even more accessible service for those who need it.